After releasing the sneak peek photos of “You are the Reason” video shoot, Gospel music minister Chris Shalom is ready to let us view the video of the phenomenal worship song. 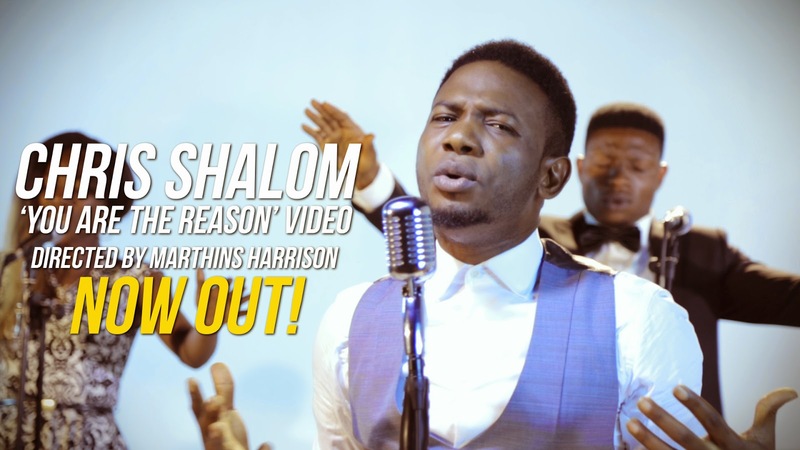 “You are the Reason” has been sung in different versions by different artistes but finally, Chris Shalom, the writer of the song is giving the original version a face. Like the song, the video depicts the reflection and the eventual epiphany of the writer expressed in worship that God is the reason for the greatest and the most inconsequential experiences. The colourful props and costumes create a theme of satisfaction while the tone and mood of the characters depict happiness and gratitude. The video was shot by Marthins Harrison and has cameos from Chris Shalom’s band – Jesusbreed and Obi Shine.